Sitting on the southwest corner of Ramona Drive and Chestnut Avenue, this property was originally owned by M.M. Phinney who had the first water connection in 1888. This area was part of Redlands’ first subdivision known as “Residence Plat.” In 1901, Julia B. Green, the wife of a local orange grower, purchased the property and hired M.E. Davenport to build her house. The house was completed in 1903 for a total of $2,000. This beautiful house is of the Craftsman style, with long overhangs supported by triangulated, unadorned brackets and crafted eaves. Roof is of hip and gable design. It has a full width porch with street-facing gable. As typical of Craftsman design, the windows are grouped in same sizes with small, symmetrical windows over and large open windows under. Another feature is the protruding rafters with curved wood cuts. The posts on the front are also typical of the Craftsman home, heavy in appearance, right-angled corners, flared downward and made of mixed materials of dressed stone and wood. Built in 1903 this would have been one of the earliest Craftsman homes in Redlands. M.E. Davenport built several in Redlands. The county records indicate Logan C. Whaley as the legal owner in 1903. Whaley listed his business as real estate, notary public and insurance salesman, with an office in Redlands National Bank. Most likely he financed the building of the Green house. A building permit indicated that Julia Green hired builder L.E. Huntington to build a wooden barn on her property in 1906. The city directories list her at this address until 1912. Julia and Worthington Green later built a larger home on Walnut and Pacific Street. From 1914 until 1947 the house had several tenants and was vacant for a number of those years, which would indicate it was a rental. When conducting research on a historical home, one hopes to find an interesting, or even better, a spicy story about the home. We were not disappointed. 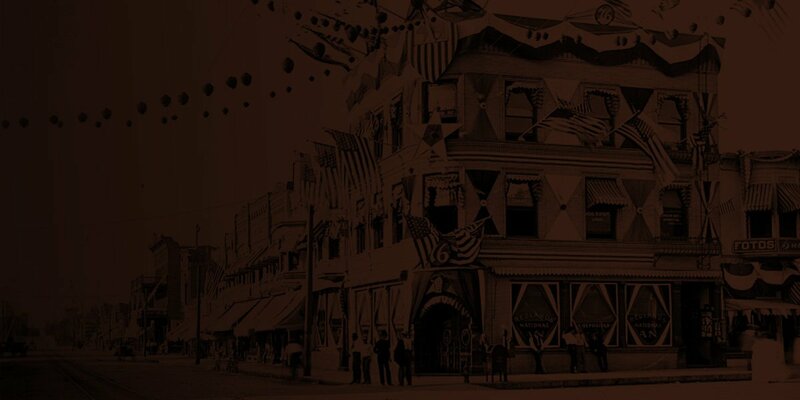 An article in the Feb. 16, 1929, Redlands Daily Facts, at the peak of prohibition, stated, “FIND STILL IN HOUSE ON HEIGHTS. POLICE ARREST JOE LUTZ AND CONFISCATE LARGEST STILL EVER FOUND HERE.” According to the article, Chief Walter Thomas received a tip that a big still was operating in the house on the corner of Chestnut and California, now Ramona Drive. He posted officers in the house for two days without anyone showing up. Finally about midnight Joe Lutz showed up and was arrested. In 1947 Ted and Nina Banek purchased the house and in 1953 Ted Banek added a bedroom to the west side of the house. The current owners, Gary and Ellen Paytas, purchased the house from the widow, Nina Banek, in 1990. Since that time, the Paytas have carefully added a bathroom, a beautiful sitting room and garage while staying true to the style and charm of the home. With its towering redwood trees and beautiful gardens their home is a historical gem in the “Heights” of south Redlands. The Redlands Area Historical Society commends Gary and Ellen Paytas for their care and attention in maintaining this remarkable home.